This is another payment gateway that can be used for online payments. 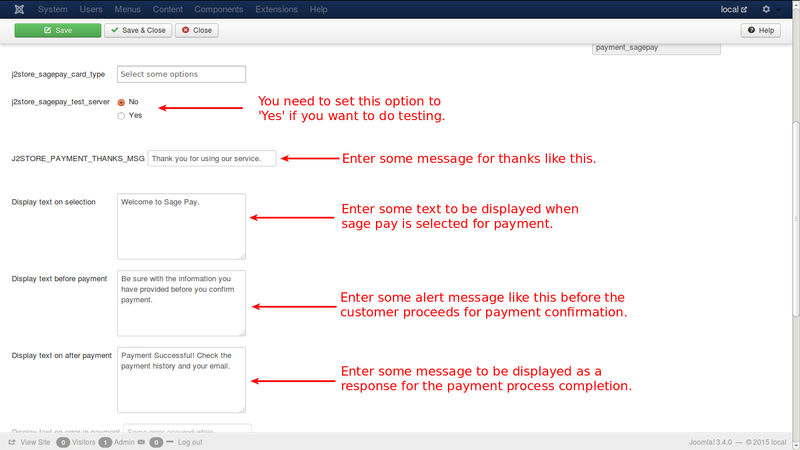 This section helps you understand how it can be configured for making payments online. Enter the details as shown in image above. 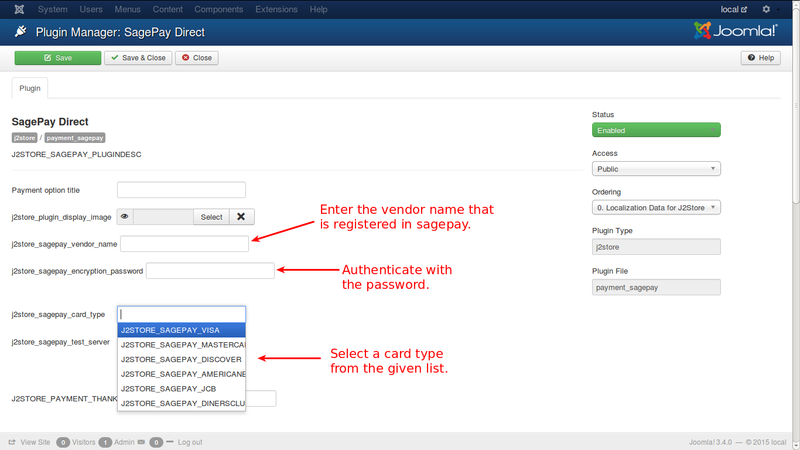 You need the vendor name, which is registered with Sagepay, an encryption password to authenticate, a card type from which the payment is going to be made. 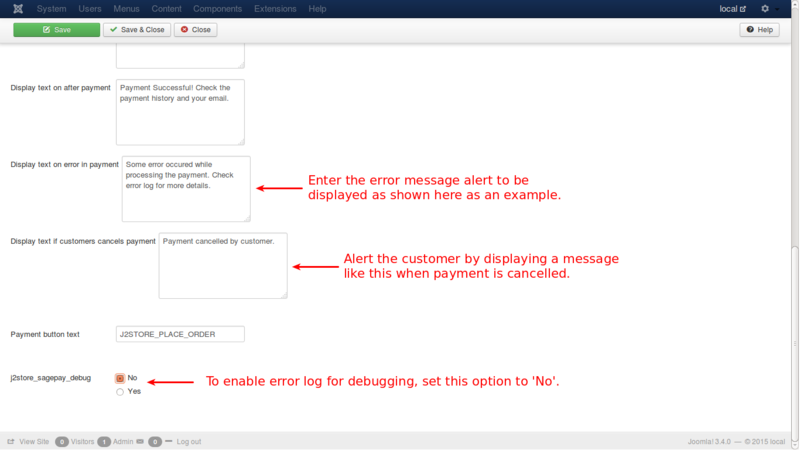 In the second and third images, you will have to give some messages that are displayed when the customer initiates some action.